Five nuclear bombs would explode and claim hundreds of thousands of Zionist settlers if the Ammonia ship which moves the chemical substance to Haifa bay once per month, Yediot Ahronot reported. The Zionist paper added that the ship moves 16700 tons of liquid Ammonia, which have the destructive capacity of five nuclear bombs. 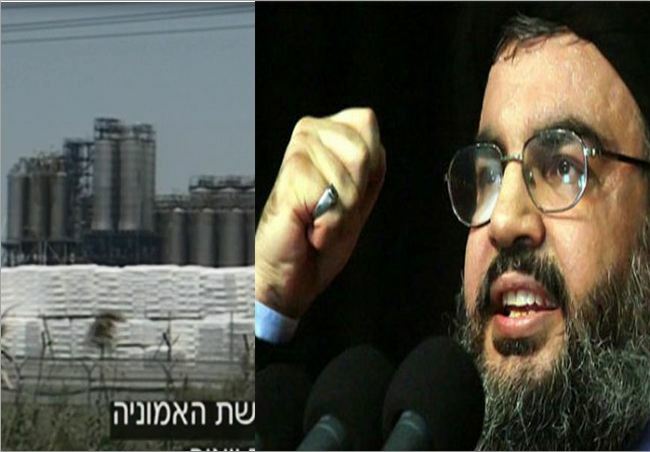 Yediot Ahronot considered that Hezbollah Secretary General Sayyed Hasan Nasrallah’s threat to strike the Ammonia tanks in Haifa and cause the vast damages is realistic. In details, when any of the Ammonia tanks on the ship’s deck is targeted, all the marine animals within tens of kilometers would be killed due to the gas leakage, according to the report. The report noted that half of the gases would melt and raise the temperature of the remaining amounts to the boiling point, forming an Ammonia cloud, which weighs over 8000 tons and covers Haifa city for 8 hours, stifling all (hundreds of thousands) the existing settlers to death. In this regard, Haaretz Israeli newspaper reported that the Zionist officers are concerned about Hezbollah sophisticated capabilities to launch pinpoint rockets and accurately hit the targets, including the Ammonia tanks.